It happens to all of us: A carpet stain right before expecting guests at your North Shore home. What do you do when you’re in a bind without any carpet cleaner? This is when home remedies for general upkeep around the house come in handy! Luckily, there’s a good chance you have something to fix (or at least disguise) problems like this that come up in your North Shore home. There are several ways to remove a carpet stain, but arguably the easiest is to mix dish washing detergent with water and blot out the stain. White vinegar is great for getting coffee stains out of carpet, and white wine can help remove an old red wine stain. No carpet cleaner needed! Try these tips the next time you find yourself in a rush to tidy up your North Shore home. Sometimes no matter how hard you try, traditional glass cleaners will leave streaks on your windows and mirrors. When you want to impress North Shore home buyers visiting your home, try mixing 1/4 cup of white vinegar, 1 tablespoon of cornstarch and 2 cups of warm water. Spray onto any glass surface and clean with crumpled up newspaper instead of a paper towel for a lint-free finish. 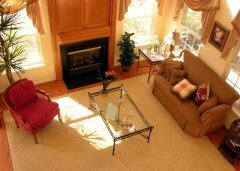 When staging your North Shore home for an open house, it’s likely you’ll need to rearrange some furniture. What about those dents heavy furniture leaves in your carpet? Banish them quickly with an ice cube. Simply place an ice cube in the indented part of the carpet. Once it melts, blot dry and vacuum over the area. When the carpet fibers absorb the water, it makes them full again. The vacuum will pull the carpet fibers back to an upright position. As the weather gets warmer and you keep your North Shore home’s windows open, it can be difficult to keep up with dusting the furniture. 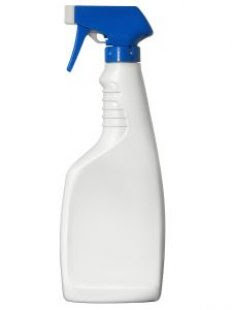 Keep your Glencoe, Winnetka, Highland Park, Northbrook or Deerfield home looking fresh with a dust repellent. Mix one part vinegar with two parts water and use it to clean dust off of almost any surface area. The next time you’re in a bind and need a quick, inexpensive remedy for home upkeep, look in your kitchen cabinets! Any of these tips will be great last minute fixes before an open house if you’re selling your North Shore home. If you’re leaving the North Shore or are planning to relocate here, please contact me to help make the selling or buying process go smoothly. As a North Shore real estate expert, I’m always here to help!